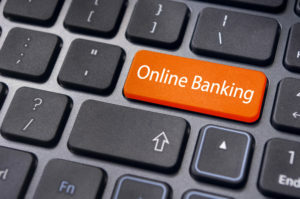 Online Banking puts all your Credit Union account information at your fingertips 24/7! It’s safe, secure, and easy to use. You will be able to check your account balances and transaction history, even transfer between accounts. To sign up for Online Banking, you will need to access the Online Banking System and Enroll. You will have the option to receive your statement with E-Statements through Online Banking. Your statement will be available on the 1st business day of the month. Click here to access our Online Banking system. TIRED OF PAYING BILLS? Let us do it for you! Okay, so we can’t actually supply the funds to pay your bills. We can, however, eliminate the stress and time constraints associated with doing so. The service is called Electronic Bill Payment, and it’s available today to members who have a credit union checking account! Electronic Bill Payment (EBP) is a service that makes it simple and convenient to pay your monthly bills. All you have to do is verify that the amount you have been billed is correct, and then schedule the payment. Your credit union will do the rest! After you have enrolled at your local branch office for Bill Pay, go to www.mlfcu.net and then you can access Bill Pay through our Online Banking System. You can schedule recurring payments of the same amount (i.e. mortgage), and by retaining the contact information of the payee, your bill payment history speeds the process of paying billed amounts that vary from month to month (i.e. credit card). There is a $5.00 per month fee for this service. The fee will be withdrawn from your checking account each month. Bill Pay can only be accessed with your checking account.